The Master of Anything was Once a Beginner. This proverb applies full force when it comes to Personal Trainer Certifications. 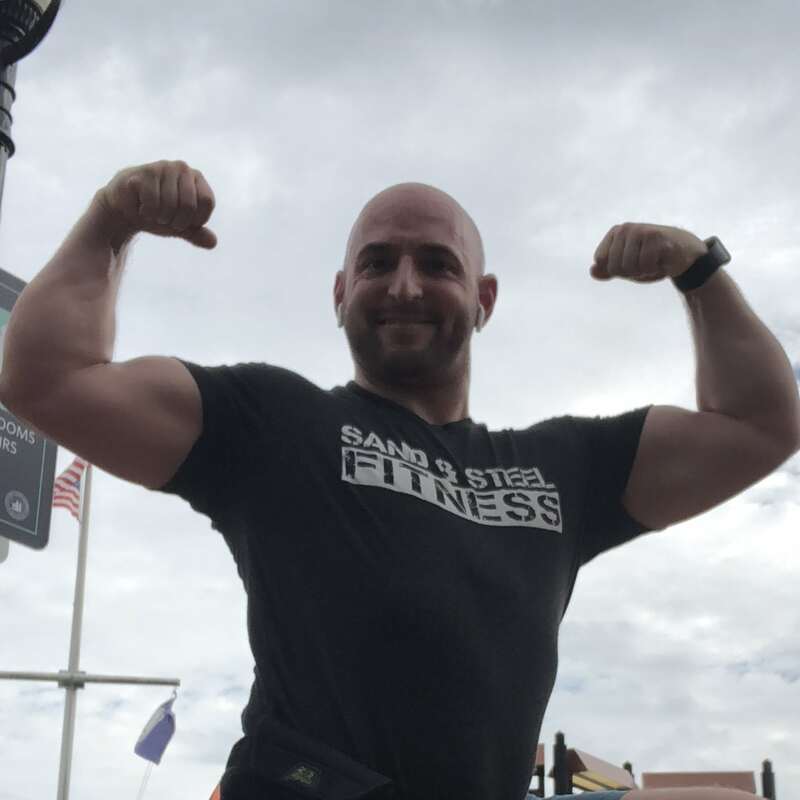 The demand for inexpensive, fast certifications has created a deluge of unqualified personal trainers who are certified but have no practical experience. In theory, such personal trainers would learn this from their mentors at their first job, but the demand for low priced personal trainers has made that practice all but forgotten. Despite the financial challenges, Sand & Steel still embraces a complete mentorship program. 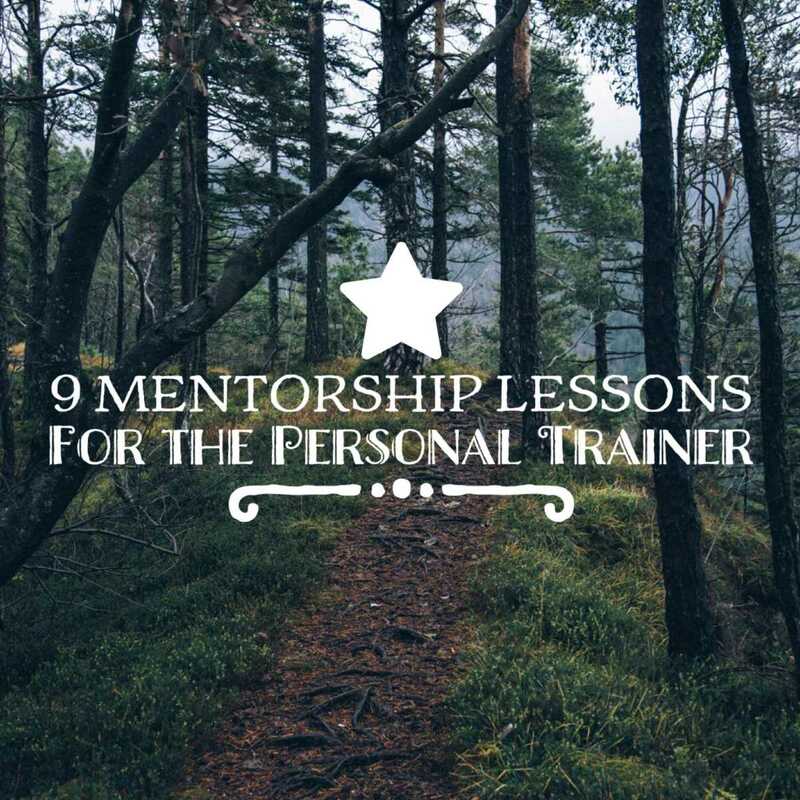 Mentoring is an indispensable requirement for a personal trainer’s growth. Not only are skills and experience shared, but there is value in the essential re-examination of one’s own work and techniques. Through the Mentorship Program, I’m able to evaluate shortcomings in our processes. I learn something new from every mentee we take on. For our future mentees, you can learn so much here. One of the greatest values I can provide you as a mentor is the ability to see ahead what you cannot. To help prepare you for the challenges that lay ahead. To set you on the right course so that you may improve. To be a source of support when you make mistakes. And to be Relentless in demanding that you improve. What if you are already a SuperStar Coach with multiple Personal Training Certifications? I think you can agree that you became a superstar coach by learning from others. 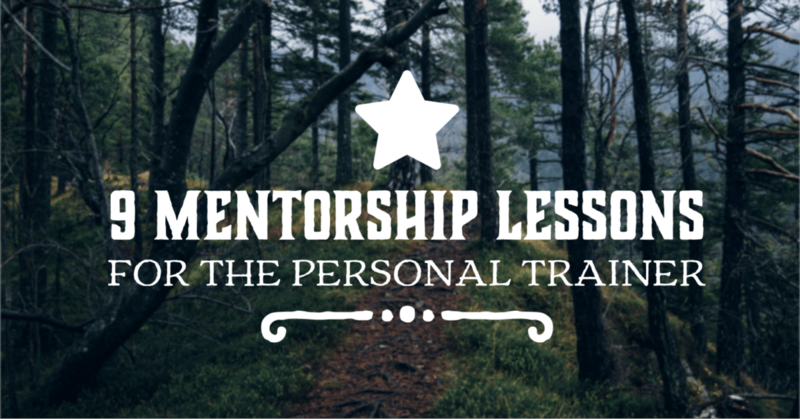 Our Mentorship Program is where we share a lifetime of secrets, honed techniques, and well-practiced coaching drills to help you succeed. I’m fortunate at Sand & Steel to have retained hundreds of amazing personal trainers, but there is always room to grow. And in the spirit of sharing, here is our list of the 9 most common new personal trainer mistakes. It does not matter which personal trainer certification you have. These lessons are applicable to your gym and will work with your clients. Practice and visualize the flow of the workout in 3 dimensions in real time. Prepare the scaling of the workout in advance. Show the scaling to your mentor / manager before your client walks in the door. Talk with your client when the session starts to see if they have soreness or pains. Always talk with your manager when a new client that books with you. Check the intake form and the notes, and then call your manager to be prepared for your session. Be honest when you make mistakes. Don’t make up deceptive excuses. Your manager will see it through. A mistake plus a lie covering it up can get you fired. Promptly respond to emails and texts promptly and completely. You’d be surprised how much this matters. Your manager will notice when you don’t respond. Take responsibility to update a client’s program when it needs to be updated. Take notes of what the client actually did including the scaling that you used. You are responsible for the success, safety, and improvement of all clients that book with you. You need to find any barriers that are blocking a client’s improvement and make sure the client is getting what they need. If it’s not a service you can provide, promptly bring the matter to Dawn and Paul’s attention by emailing them. Complete your bio as soon as possible. It doesn’t matter how many personal trainer certifications you have if you don’t have a bio to list them. Complete your blog posts. New clients want to read about your knowledge before they book you. 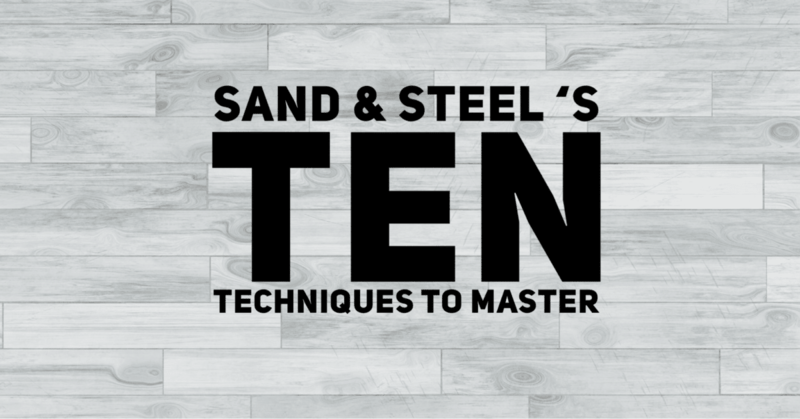 Master the Sand & Steel Ten, but learn the basics first. Continue working to get better at all the exercises. Focus on mastering the easier exercises first. Master the basics before learning harder movements. Keep the programming simple when you are getting started. Clients will appreciate your knowledge of doing the fundamentals better. You must be relentless in enforcing proper form. Do not allow any deviations from proper form. Test each movement with your client before starting the workout. Warm up the client. Not picking warmups related to workout. Make sure you know why each movement is being done. Don’t do exercises for the sake of doing them. Exercises need to make sense for the client. Scale up when an exercise is too easy. Scale down when an exercise is too hard. If you are in doubt, whether a movement is safe… it’s not safe. Don’t let clients move in unsafe patterns. It doesn’t work the target muscles and they will only get injured as a result. Consider a client’s morphology when selecting a client’s weight. Know all your points of performance for an exercise. Don’t cheerlead. Unless you feel that a client needs you to motivate them, don’t cheerlead them. Match a client’s talkativeness. Some clients like to talk, others like to work. Always try to get a client to work more, while respecting their chattiness. If a client begins to get nauseated, use recovery time for mobility. Make sure you check the client from all angles. Some faults can only be seen from the side and the back. Don’t rely on scalings of other coaches… read them but pay attention to the workout program. Not having an intelligently prepared warmup for the client. Think about technical moves, risk of injury, and muscle plasticity when crafting a warmup. Always pair the exercise to the client, find the safest most effective scaling of the workout possible. When a manager tells you to prepare something for your own use, prepare it. When a manager emails you, respond completely and quickly. When you commit to a deadline, make sure you have your product finished by the deadline.